The three people, who stood in radiance and glorious light on the Mount of Transfiguration, were people who brought fasting to perfection. For every one of them fasted for forty days and forty nights. Our Lord Jesus Christ, may glory be to Him. (Matt 4:2), Moses (Ex 34:28), and Elijah (1 Kings 19:8). 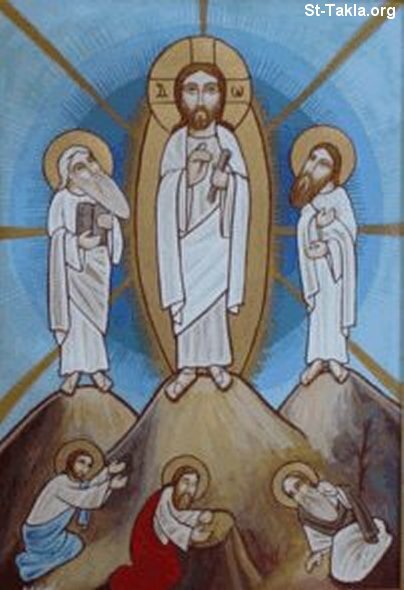 This magnificent scene, conceal behind it an important message that is, by conquering the body through fasting, the spirit becomes manifest and the body is transfigured Our Lord Jesus Christ selected two people who fasted to be with Him on the mount of transfiguration showing their transfigured nature in eternity. Was their body not the same as those who conquered their body through fasting?